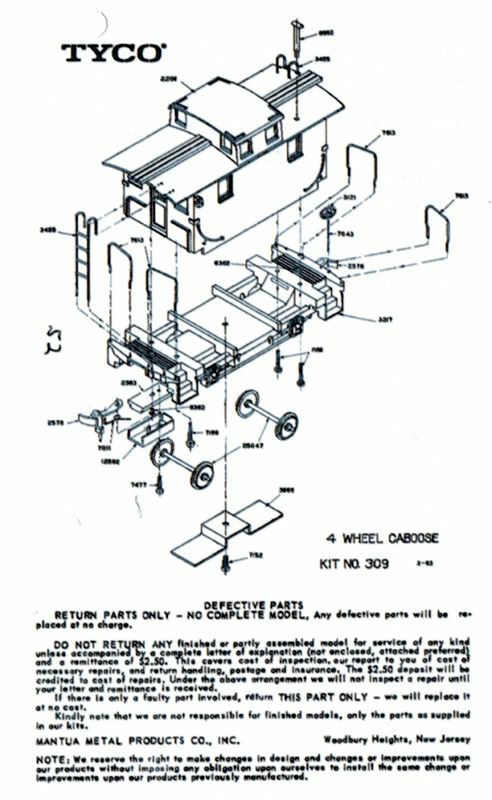 The 1960, 1961, 1962-63, 1963-64, 1964-65 and 1965-66 TYCO catalog lists the retail price of $2.49 for the 4-Wheel Caboose. 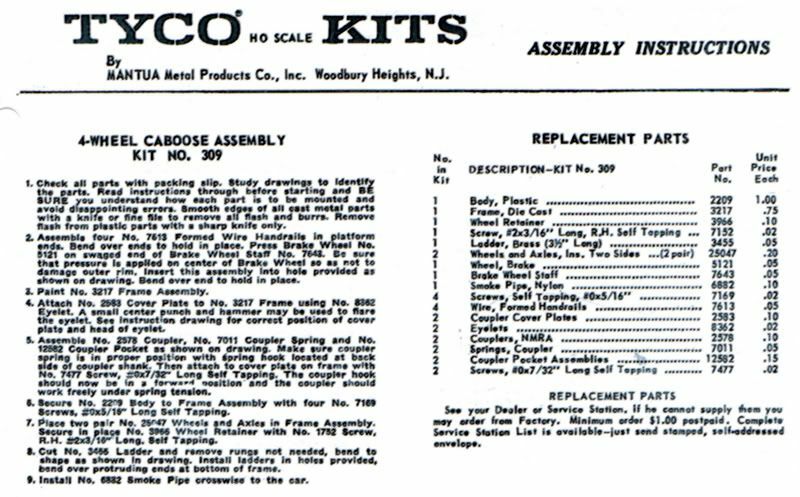 The 1963-64, 1964-65 and 1965-66 catalogs present a kit version, #K309A thru #K309P, selling for $1.69. 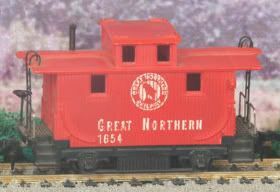 The TYCO Great Northern 4-Wheel Caboose model appears in catalogs from 1961 through 1963-64. 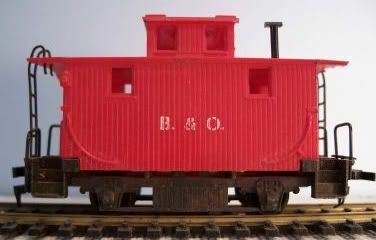 Above is TYCO's Pennsy bobber caboose as it appeared when introduced in the 1950s. 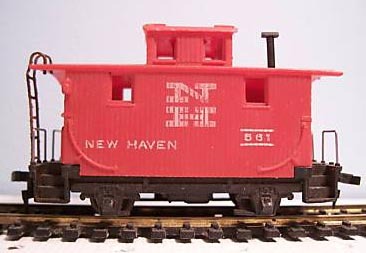 The light blue packaging pre-dates TYCO's '60s Red Box. 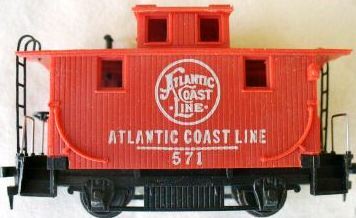 The above example lettered "Little Trains" is a TYCO release from the pre-Red Box Era of the 1960s. 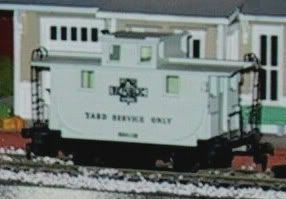 The TYCO name is introduced by Mantua in the early '50s and TYCO Little Trains was used to promote the then-new line. 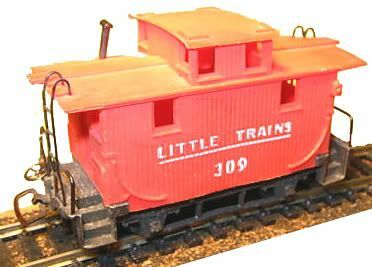 The slogan "Little Trains" found itself on models, as demonstrated on the above 1950s TYCO example.